If you’re looking for a quick and delicious way to improve a Memorial Day gathering, here is a great trick that I like to use when throwing together a meal from the grill. Instead of serving plain bread, or even plainly grilled bread, rub it with a garlic clove for a burst of flavor. 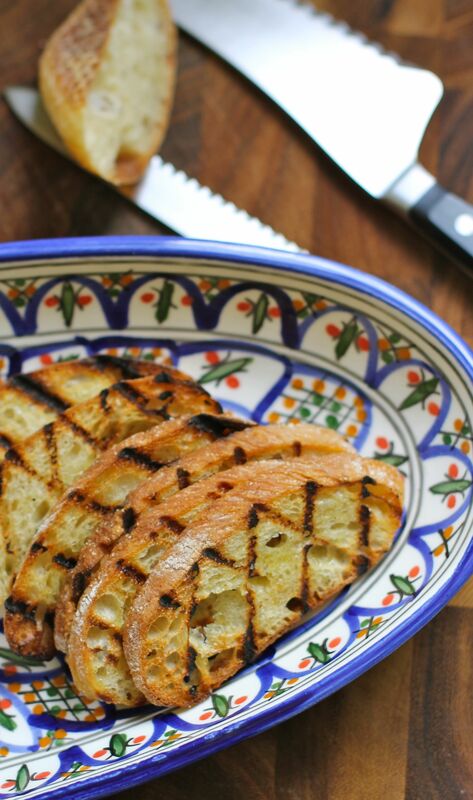 The toasted bread creates a hard, crunchy surface that catches the garlic when you rub. The results are pretty spectacular. You can serve the grilled bread alongside your meal, or add delicious toppings, like burrata, cherry tomatoes, and fresh basil for a great appetizer. I also like to tear the bread into smaller pieces and use them as croutons in a salad. They’re especially delicious in a caesar salad. Reblogged this on With The Quaterback.